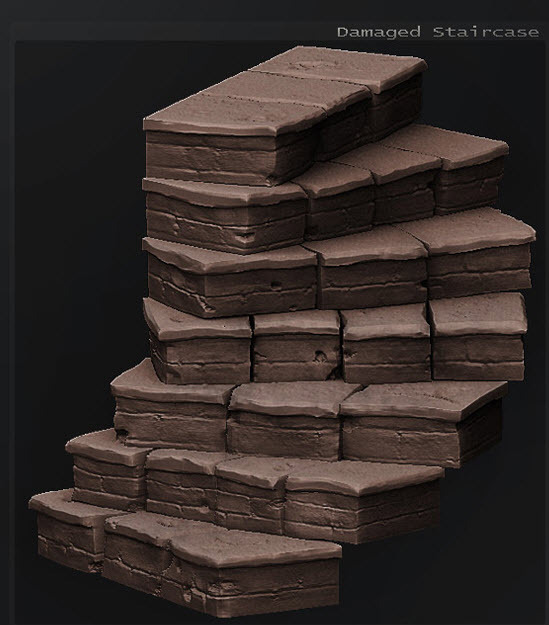 Welcome to CG Online Tutorials - This is Mudbox Modeling tutorial category web page and you can find link of a useful Mudbox Modeling tutorials regarding Sculpting a Modular Stone Staircase in Autodesk Mudbox, hosted in other web site. If you want to suggest a tutorial please do contact us, you can find our email address at the bottom of the web page. In this tutorial you will learn the fundamentals of sculpting hi-poly environment art. We will cover the process of creating an optimized base mesh in 3ds Max, and then export it into Autodesk Mudbox to sculpt in the details, starting with the larger forms, eventually working our way down to the smaller details, and finally using alphas to add surface detail.